Nigeria’s Deputy Senate Leader, Ibn Na’allah on Tuesday lampooned the President Muhammadu Buhari-led government over the drafting of 30,000 police personnel to Ekiti state for governorship election, leaving other parts of the country under the grip of insecurity without adequate police protection. 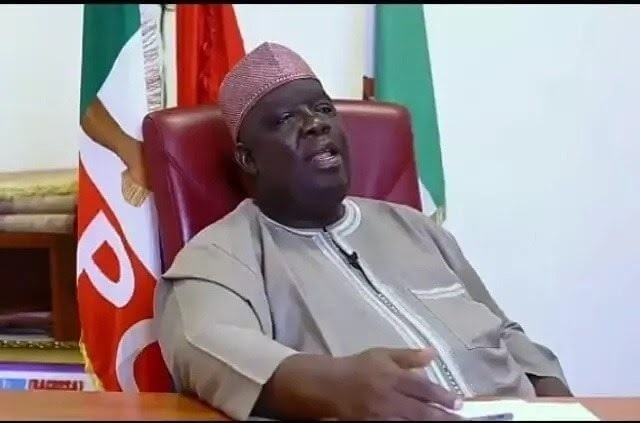 Speaking on the floor of the Senate while contributing to the debate on a bill to repeal the Police Act, he said it is quite unfortunate that the Nigeria Police have conditioned their minds to do what he called “korokoro eye service”. Na’allah queried the executive for rushing to over-police an election exercise allegedly because of its interest while killings go on in other places without prompt action. He said, “You recall that over 30,000 police was drafted to Ekiti while there were killings in Zamfara and we cannot see 3,000 to maintain peace. “APC is our party and I represent my Senatorial district on the party, but it is not in our character to draft such a huge number of policemen for elections. “Unfortunately, the Nigeria Police have made up their minds to carry out such eye service”, the lawmaker maintained. Meanwhile, Senator Francis Alimekhena, in his contribution to the debate, harped on the lack of skill among policemen in handling of guns,. He explained that policemen cannot handle A-K47 due to obsolete Act which was promulgated in 1949 by the Colonial masters. He insisted that the Act should be revealed to pave way for the training of police personnel to combat contemporary crimes of kidnappings and other forms of vices.